This week Amazon review policies and translations are still topics of interest at the publishing water cooler AKA Twitter. Selfpublishing Review has written a blog post about the new Amazon review policy detailing what you can and can’t do. A must read! Roz Morris always has interesting posts and this week she adds her thoughts to the Translation discussion. It is always good to check out the comment stream where the discussion continues. Porter Anderson has been looking at the Society of Authors call for fairer contracts. The Society is the UK authors collective. The Society is joining with The American Authors Guild and momentum is growing to change publishing contracts. Take the time to read this. Subscription services may be making a come back if the latest Disney deal is anything to go by. offering, The App almost writes the stories for you! This week a spotlight was put on organisations behaving badly. Wil Wheton called out Huffington Post for not paying authors and then went on to expand that call to other creatives who should be paid for their work. Exposure doesn’t pay the mortgage you know. Agent Natalie Lakosil helped by Jen Laughran shone a light on agents. Yes, agents have other jobs, they are just as poorly paid as writers… but be wary of Schmagents! 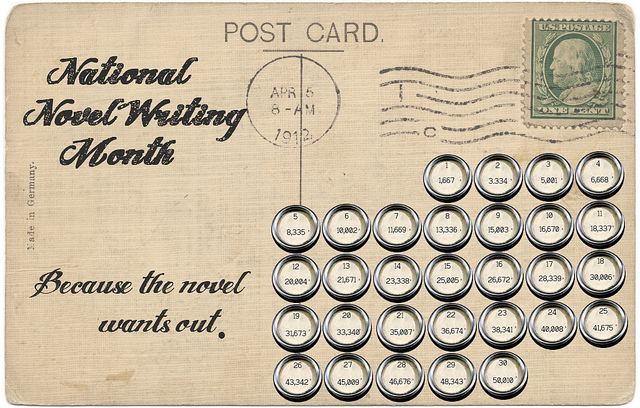 Anne R Allen has a great post from Ruth Harris on the joy of writing and how to keep it going during NaNoWriMo. 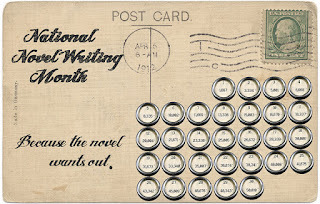 Ruth shares inspirational words from other authors about how to keep the momentum going. Here is an interesting post on when to design your bookcover… If you said before you write the book… you would be right. Jami Gold has a great post on research. Jody Hedlund talks about Tension– Bookmark! Jane Friedman talks to Larry Brooks about compelling concepts Bookmark! Joanna Penn lists all her marketing posts in one place. Bookmark! Author platform building using email lists. The people behind the Stop Procrastinating App have put together a tell all infographic on NaNoWriMo… How to survive it… How to achieve it… How to do it.